Randal Rauser is one of the most intriguing Christian authors that I have read. I have read a number of his books. I will admit that generally my reactions to Rauser’s ideas move back and forth from “he is right on” to “where is he going with this?” His book What’s So Confusing About Grace? is no exception. I would describe this book as a semi-autobiographical reflection on the nature of the gospel. Much of it follows his life from the decision as a child to be a friend of Jesus into his adulthood. Rauser inserts a tremendous amount of humour and is not afraid to point fun at some of weird things that the church does and says. It is a very enjoyable read. I identified with a lot of what he shares is the book, While I was raised in a mainline denomination, I did end up spending a number of years in the Pentecostal church, the same tradition Rauser was raised in. I remember going up for prayer to receive the gifts of tongues and having the evangelist walk away when it didn’t happen. I participated in the rock music burnings. 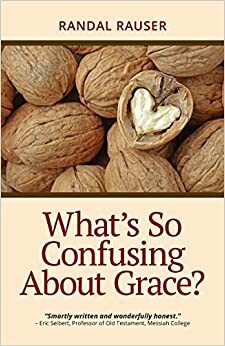 Reading What’s So Confusing About Grace? I recognized a number of experiences of myself and others I know. Rauser is right on that we have not always articulated the gospel in either a clear or a healthy way. I really enjoyed his talk about music. Both the reactions against secular music and his attempt to embrace Christian rock. I suspect Rauser and I have similar tastes in music. 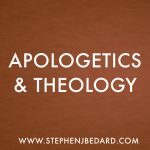 While this was not the aim of the book, Rauser also presents on of the best apologetics for being Baptist. He doesn’t try to convert people to the Baptist tradition, but his reasons for being Baptist are the same reasons that I’m Baptist. I thoroughly enjoyed What’s So Confusing About Grace? If you don’t have a sense of humour, you probably won’t like it. But if you are okay with some acknowledging the silliness of some of the things Christians do, you will like this book. 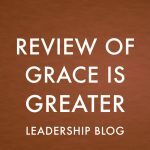 What’s So Confusing About Grace? is both a fun read and a helpful reflection on the nature of the Christian gospel.